What do paintballs, plaster, industrial explosives, pet food, wine, train brakes, wallpaper, matches, photographic film, corks, bullets, body lotion, dog treats, fish food, cigarettes, insulin, heart valves, tambourines, bio diesel, sandpaper, cellular concrete, safety gloves, crayons, toothpaste, floor wax and a deep fried pig ear have in common? 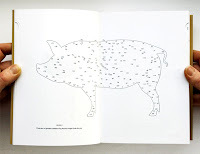 Christien Meindertsma lets us know in her wonderful yet somewhat disturbing book PIG 05049 published by Flocks in 2007. PIG 05049 could possibly be one of the clearest expressions of the globalized approach to the complete use of an animal in the processing industry. The premise is quite simple, very early in to this book we are faced with a black-and-white graph which shows the individual weights of the skin, bones, meat, internal organs, blood, fat and miscellaneous parts of one pig weighing a total of 103.7kg as it enters the processing industry. Each of these individual weights is then distributed amongst the various products that an entire pig is used in the manufacturing. 2,301g of skin goes into the manufacturing of a typical Valentines Day "love heart" candy. 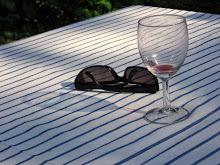 2,6134 g of skin goes into making gelatin that is used as a clarifying agent in wine. 17,572 g of bone ash from pig bones is used in the production of train brakes in Germany. Insulin, used to treat diabetics, can be produced from the pancreas of the pig which is the closest human insulin in terms of structure. Blasting gelatine, which derives from the processing of pig bones, goes into creating powerful industrial explosives. 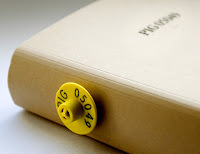 The book itself is not only about PIG 05049 but it is made partly from PIG 05049 -- Usage number 71, "Bone Glue" derived from pig bones is used in book binding. Meindertsma is an industrial designer and artist whose interest in this project was to trace the invisible connections between the raw material and the eventual consumers. As she explains, "In a strongly globalized world, it is becoming increasingly difficult to trace these lines and due to the increasing scope and complexity of the meat processing industry, consumer has hardly any idea of the route and animal takes to its various finished products." Although she goes on to say that this book should not be mistaken as a statement promoting vegetarianism, there is a surprising element to much of this information of what is in our consumer goods that it caused a similar reaction in me to that of the film Soylent Green. Through the 185 different uses illustrated, this book reveals man and science walking the fine line between ingeniousness and madness. PIG 05049 is a perfect conceptual art piece and an exquisitely crafted object. 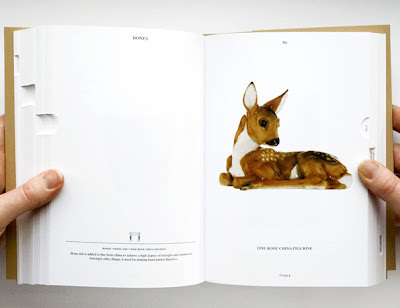 From the cardboard cover with its embossed title to the interior design with thumb-tab indexed sections there is no part of this book that does not appeal tactually or visually. Lucas Verweij, the Dean of Rotterdam Academy of architecture and urban design lends a foreword in which he discusses the generational differences of ideas of complete animal usage in the processing industry. Christein Meindertsma's first book Checked Baggage published by Soeps Uitgeverij in 2004 is another conceptual art piece that addresses another fascinating aspect of contemporary life. After 9/11, Meindertsma purchased a container of a weeks worth of objects confiscated at security checkpoints in Schiphol Airport in Amsterdam. Due to the heightened security, nail files, scissors, pocketknives, corkscrews and any other sharp object were not allowed in hand luggage. Meindertsma then set about categorizing and photographing all of the 3264 prohibited objects on a white seamless background as if for a sales catalog. 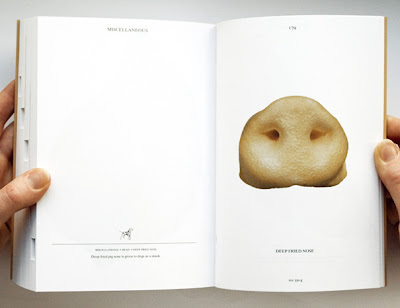 The resulting book of 330 pages causes the viewer to reassess these objects in terms of their potential danger in our post-9/11 world. The ability of a few hijackers to take control of planes with a few box cutters has now created an atmosphere where even a child's pair of scissors or a cigarette lighter is subject to deeper suspicion. Meindertsma's book raises this issue as many of the objects featured seemed to mock seriousness of the baggage checker's notions of what can be considered dangerous. In this new "war on terror" do these security tactics actually make us safer or is there a deeper, more sinister reasoning behind the continual screening and curbing of individual rights for the sake of the greater "good?" Like PIG 05049, this book is also about a kind of madness. Checked Baggage: 3264 Prohibited Items is another example of fine design and book craft. Appropriately made to feel more like a catalog, one could easily imagine a copy sitting next to the x-ray screener as a reference book of items to watch out for -- or perhaps someday when clear heads prevail -- it could serve as a barometer of our current state of paranoia. This book has now become very scarce and valuable as it was featured in Parr/Badger volume 2 but should you find a copy while vacationing do not try to take this on board an airplane in your hand baggage. Each copy of Checked Baggage comes packaged with one of the 'prohibited items' that appears in the photographs. That would turn this conceptual art book into an on-site performance piece as the baggage screener -- seeing the ingeniousness of your intent to smuggle a dangerous art object on-board -- re-confiscates the 'prohibited item' and sends you onto the plane safe and sound, and cleared of suspicion. The Dutch graphic designer and artist Jan Bons turns 90 this April and to celebrate this milestone the designer Lex Reitsma has made an 50 min. long documentary film about his life and work, and for the Kunsthal Rotterdam (NL) Lex has organized an exhibition showing 90 of Jan Bons’ posters. 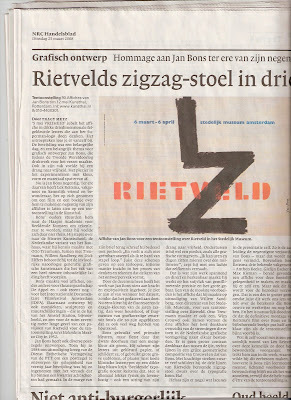 Although multi-talented it is the graphic design work of Jan Bons for which he is most recognized. He has designed postage stamps, books, brochures, program booklets and many posters all of which bear a strong, self-assured, and non-conformist style. Sandberg was an inspiration for Bons and this is evident in his use of torn paper, self-styled typography and the use of primary colours; it was Sandberg who suggested to Bons that he always use red somewhere in a poster design. Jan Bons’ posters are the work of a painter turned typographer; they are free, bold and very direct using a minimum of resources. Large, often hand written letters take the place of images and he never uses distracting decorations. Throughout his career he has remained faithful to a small number of clients including the theatre groups Studio and De Appel, the ship owner Van Ommeren, the International Documentary Festival (IDFA) and the music group Nieuw Ensemble. 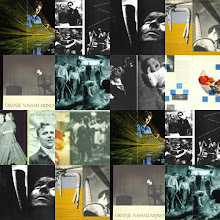 For all of these he has made an extensive body of work and in several cases it became an integral part of their identity. His work for De Appel spans the period 1972 to 1996 and with it’s almost solely typographic presentation it became synonymous with the groups name. Bons is quoted as saying: “I have always been of the opinion that a theatre group must be visually recognizable in one form of publicity, be it posters, program booklets or advertising. A poster must therefore reflect the continuity of the company. ”The film ‘Jan Bons – a designer’s freedom’ is available as a DVD with English sub-titles and packaged with a small book in Dutch and English written by Paul Hefting; it accompanies the exposition of 90 posters in the Kunsthal Rotterdam from March 8th to the 12th of May 2008. 50 jaar Bruynzeel 1897-1947. [Text M. Redeke [Maurits Dekker] (firm's history). Photography Carel Blazer, Eva Besnyö. Illustrations, Layout: Jan Bons, Jaap Penraat]. Zaandam / 1947 / 130 p. / hb. / 33x26cm / 154 b&w photographs, in opdracht en uit bedrijfsarchief / bedrijfsreportage, documentaire foto's / productieproces, ontspanning, opleiding). - Ill. 20 color / schematische ontwerptekeningen en komische pentekeningen. / NN / Firmenschrift / Wirtschaft, Firmengeschichte - Photographie - Anthologie - Auftragsphotographie, commissioned photography - Nederland, Niederlande - 20. Jahrh. / Printed by Firma L. van Leer en Co, Amsterdam (offset). - Opdrachtgever: C. Bruynzeel & Zonen (50-jarig bestaan). - Voorloper van bedrijfsfotoboek met kenmerken van beeldverhaal. 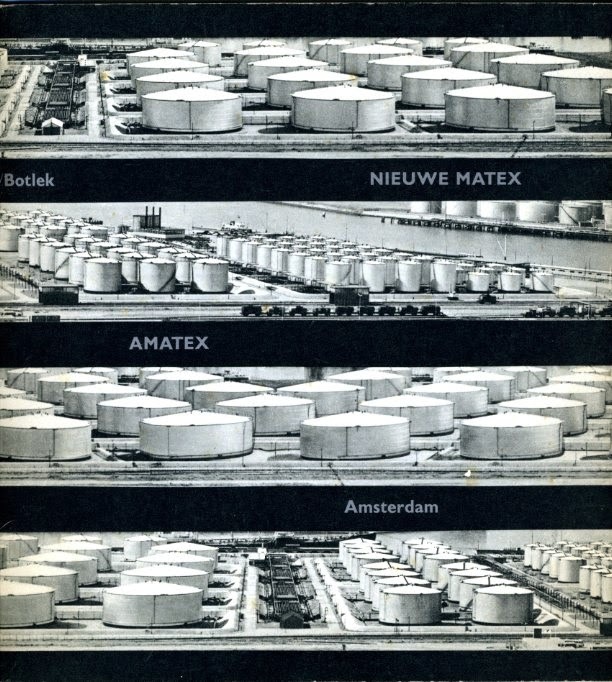 De indeling van het boek is thematisch, naar type eindproduct. In het laatste hoofdstuk is aandacht voor de sociaal-maatschappelijke kant van het bedrijf. De fabriek wordt metaforisch voorgesteld als een levend organisme. De jong & van dam nv. [Text Jan Bons (firm's history). Photography Ed van der Elsken. Layout Jan Bons]. Hilversum / 1962 / 28 p. / paperback / 35x26cm / 31 b&w photographs / bedrijfsreportage en geënsceneerde foto's / productieproces en modebeelden). / NN / Firmenschrift, Festschrift / Firmegeschichte - Photographie - Anthologie - Auftragsphotographie, commissioned photography - Nederland, Niederlande - 20. Jahrh. / Printed by Steendrukkerij de Jong & Co, Hilversum (offset). - Opdrachtgever: De Jong & Van Dam NV (50-jarig bestaan). - Filmisch scenario. De tekst is gezet uit de Gill. de jong & van dam is wat betreft opmaak, formaat en typografie verwant aan het eigentijdse tijdschrift Twen. De verbinding. [Text Jan Elburg (essay). Photography Violette Cornelius, Eddy Posthuma de Boer, Paul Huf, Hein de Bouter. Layout: Jurriaan Schrofer. Illustrations: Jan Bons]. Den Haag / s. a. / 76 p. / pb. (sewn) / 24x20cm / 39 b&w photographs, 10 color, in opdracht en afkomstig uit het bedrijfsarchief en uit archieven van fotografen / documentaire -, geënsceneerde - en productfoto's / 'De verbinding' tussen mensen. 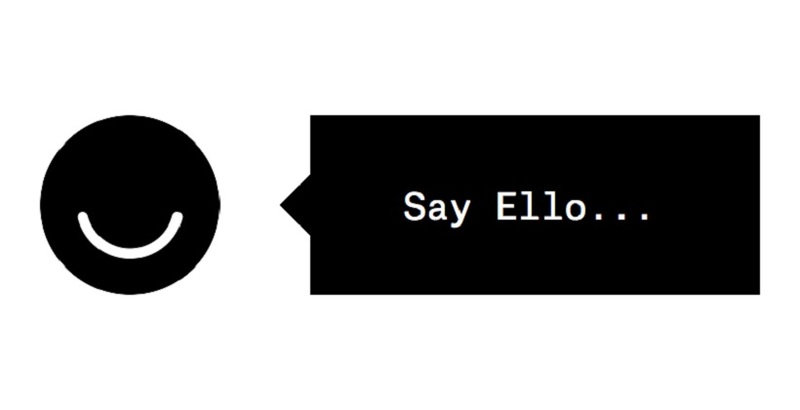 - Ill. 9, b&w photographs / telefoondoodels, atoommopjes en striptekeningen). / NN / Firmenschrift / Photographie - Anthologie - Auftragsphotographie, commissioned photography - Nederland, Niederlande - 20. Jahrh. / Printed by Steendrukkerij de Jong & Co, Hilversum (offset). - Opdrachtgever: Staatsbedrijf der PTT (ingebruikneming). - Filmisch scenario. De tekst is gezet uit de Courier. Evenals de jong & van dam (1962) is De verbinding informeel van karakter. Beide zijn gedrukt in punt-op-punt-vernis. J. Schrofer werd voor de samenstelling ervan benaderd na contact met P. Brattinga. S. den Hartog had de leiding over de productie. Portretten van de samenstellers staan op het voorplat. Er bestaat een Engelstalige editie onder de titel The Connection. De uitgave bevat 10 uitslaande pagina's. Nieuwe Matex / Amatex. [Text (voorlichting). Photography Carel Blazer, Frits Rotgans et al. Layout Jan Bons]. Rotterdam / s. a. / 38 p. / Obr. 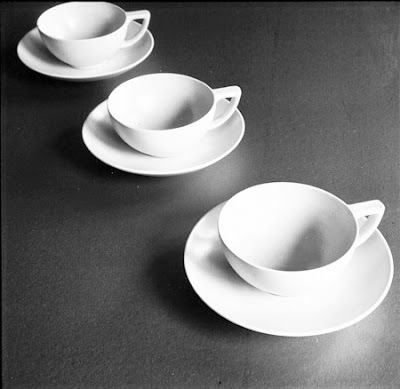 / 24x24cm / 35 b&w photographs / bedrijfsreportage / Rotterdamse Botlek, opslag en transport, pijpleidingen. - Ill. 3 color / landkaarten met waterwegen). / NN / Firmenschrift / Photographie - Anthologie - Auftragsphotographie, commissioned photography - Nederland, Niederlande - 20. Jahrh. / Printed by Joh. Enschedé en Zonen, Haarlem (boekdruk en offset). 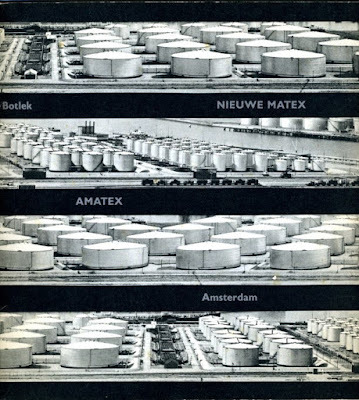 - Opdrachtgever: Matex / Van Ommeren-concern, Rotterdam (voorlichting). - Kenmerken van filmisch scenario. De opmaak van de Engels-, Duits- en Nederlandstalige uitgave is verwant aan die van De jong & van dam (1962) en bevat panoramische foto's en een bedrukte transparante pagina. Born in Rhuddlan, Wales, Philip Jones Griffiths studied pharmacy in Liverpool and worked in London while photographing part-time for the Manchester Guardian. In 1961 he became a full-time freelancer for the London-based Observer. He covered the Algerian War in 1962, then moved to Central Africa. From there he moved to Asia, photographing in Vietnam from 1966 to 1971. His book on the war, Vietnam Inc., crystallized public opinion and gave form to Western misgivings about American involvement in Vietnam. 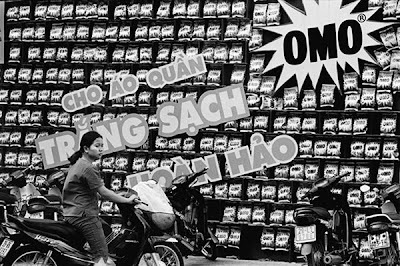 One of the most detailed surveys of any conflict, Vietnam Inc. is also an in-depth document of Vietnamese culture under attack. An associate member of Magnum since 1966, Griffiths became a member in 1971. In 1973 he covered the Yom Kippur War and then worked in Cambodia between 1973 and 1975. In 1977 he covered Asia from his base in Thailand. In 1980 Griffiths moved to New York to assume the presidency of Magnum, a post he held for a record five years. Griffiths' assignments, often self-engineered, took him to more than 120 countries. He continued to work for major publications such as Life and Geo on stories such as Buddhism in Cambodia, droughts in India, poverty in Texas, the re-greening of Vietnam, and the legacy of the Gulf War in Kuwait. His continued revisiting of Vietnam, examining the legacy of the war, lead to his two further books ‘Agent Orange’ and ‘Vietnam at Peace’. Those of you with deep pockets will be interested to know that there is another Christie's auction coming up on Thursday, April 10, 2008. This is being touted as the greatest photo book auction to date. 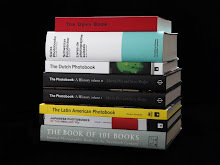 All of the 200 lots come from an "important private collection" in which some of the rarities of photography book history have been amassed and all of which are supposedly in very fine condition. What additionally makes many of these extra special is the fact they are signed or are association copies. For instance should you have an estimated $40,000 you might be the highest bidder for a copy of Brassai's Fine PhotobooksParis De Nuit signed to Andre Kertesz from Brassai. Oh -- and many come housed in a custom-made cloth folding box with foil stamped titles and information on the spine. 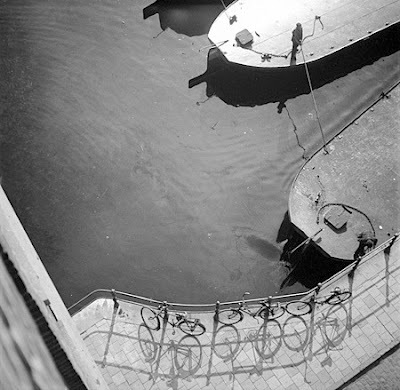 AMSTERDAM (EJP)---The Jewish Historical Museum in Amsterdam is organizing for the first time an exhibition of photographs by Kurt Lubinski, a (1899-1969) German émigré photographer. Although Lubinski (1899-1969) is relatively unknown, he gained a significant reputation as a successful photojournalist for his travel reportages in the 1920s and 1930s, initially in Germany and later in the Netherlands. He began his career at the end of the 1920s as a photographer at the Ullstein Verlag in Berlin. In 1933 he fled Nazi Germany and emigrated to the Netherlands. He received commissions from Dutch illustrated weeklies and was one of the first photojournalists to travel through the remote areas of the Soviet Union (Siberia and Central Asia), Africa and the American Deep South. He also travelled extensively in Europe, from Gibraltar to the Shetland Islands. 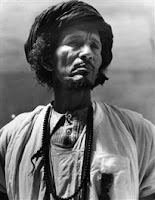 In the 1930s Lubinski’s photographs were among the first to acquaint the general public with images of strange cultures and exotic peoples. Lubinski’s countless reportages, the texts for which he wrote himself, speak of his great empathy for the underprivileged such as poor Russian peasants, nomads in Kazakhstan, dispossessed Native Americans and black street sweepers in the USA. People are always central to his photography. He observed how, throughout the world, the authenticity of age-old cultures was threatened by modernisation, industrialisation, urbanisation and political developments. His photographs remain, in our age of globalization, a silent witness to a world that has largely disappeared. Lubinski escaped to Britain before the outbreak of WWII and emigrated in 1943 to the United States where he abandoned photography. His archive was lost and his name fell into obscurity. “The Amsterdam museum hopes that this exhibition will restore him to his rightful place in the history of Dutch photography,” it said. The majority of the photographs in the exhibition are vintage prints from the collection of Spaarnestad Photo. 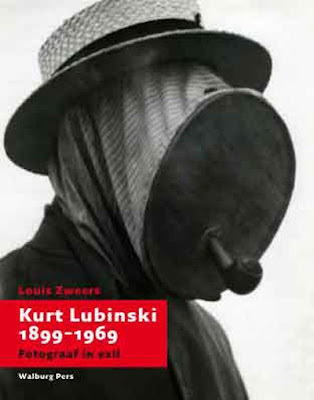 This exhibition from 7 March until 8 June 2008 coincides with the publication of a book on Lubinski by art and photography Dutch historian Louis Zweers. Throughout his tenure as a registry clerk with the Immigration Division of Ellis Island, Augustus F. Sherman systematically photographed more than 200 families, groups, and individuals while they were being held by customs for special investigations. 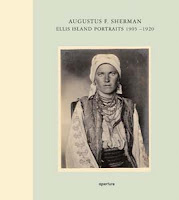 This volume collects and provides an essential revaluation of Sherman’s striking portraits, which predate August Sander’s cataloging efforts by several years. A historical document of unprecedented worth, Augustus F. Sherman: Ellis Island Portraits includes almost one-hundred portraits taken from 1904 through 1920. The subjects are frequently dressed in elaborate national costumes or folk dress, emphasizing the variety and richness of the cultural heritage that came together to form the United States. Romanian shepherds, German stowaways, Russian vegetarians, Greek priests, and Ghanaian women in elaborately patterned dresses, are treated with equal gravitas. The resulting body of work presents a unique and powerful picture of the stream of immigrants who came through Ellis Island. In its time, the material contributed to the larger project of ethnographic categorization and typology typical of the early twentieth century, much as Edward S. Curtis’s portraits romanticized the “last Indians” or John Thomson’s “Street Life in London” identified and codified social class in the late 1800s. Though originally taken for his own personal study, Sherman’s work appeared in the public eye as illustrations for publications with titles such as “Alien or American,” and hung on the walls of the custom offices as cautionary or exemplary models of the new American species. In this book, Peter Mesenhöller, Research Associate with the Rautenstrauch-Joest-Museum of Anthropology in Cologne, Germany provides new critical context and analysis of this rich collection, but also addresses the individual images as powerful, engaging photographs created by a master portraitist.